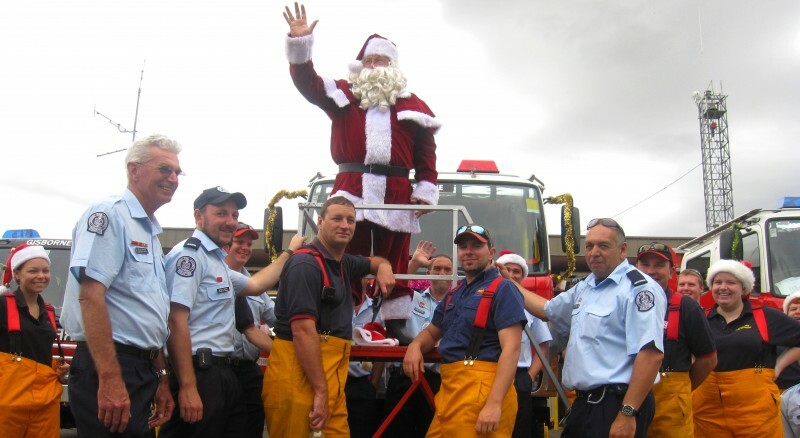 The Gisborne Fire brigade will again be taking Santa along the streets to deliver lollies this Christmas Eve. Keeping in with the past few years we are stopping at areas where large groups of people have gathered, like intersections for example. We no longer travel down every street and down dead end courts. Residents living around The Boulevard, Black Ave, Sunnypark Close, Scenic Court area – we will only be stopping at the reserve between Landscape Close and Mountain View Way. Maps available here Santa streets 2017. We will be starting at around 12:30pm at Chessy Park, keep an ear out for the sirens of our fire trucks that will be approximately 5 to 10 minutes ahead of the fire truck with Santa on board. Santa may arrive at your location at a different time than normal. We will only be stopping near intersections where people are gathered, or on main roads where there are people gathered in large groups. We would like to encourage everybody to gather in the safest possible location with adult supervision for children. This entry was posted in Incidents on December 12, 2017 by gary@snark.online. Many communities throughout Victoria are already experiencing dry conditions, which places them at risk of fire. 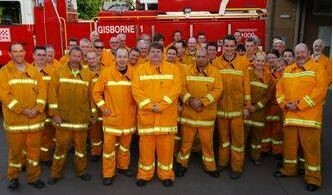 The current hot weather around Gisborne is reinforcing that time is getting shorter to prepare for fire. Now is the time to prepare your property, not on a hot, dry day with a strong northerly. As summer intensifies with rising temperatures and drying vegetation, so does the risk of uncontrollable fires, especially over the Christmas and holiday period. Living near the dense forest, bush, and grassland around us puts you at risk of fire this summer. Now’s the time to prepare your property. Keep grass cut to less than 10cms long. 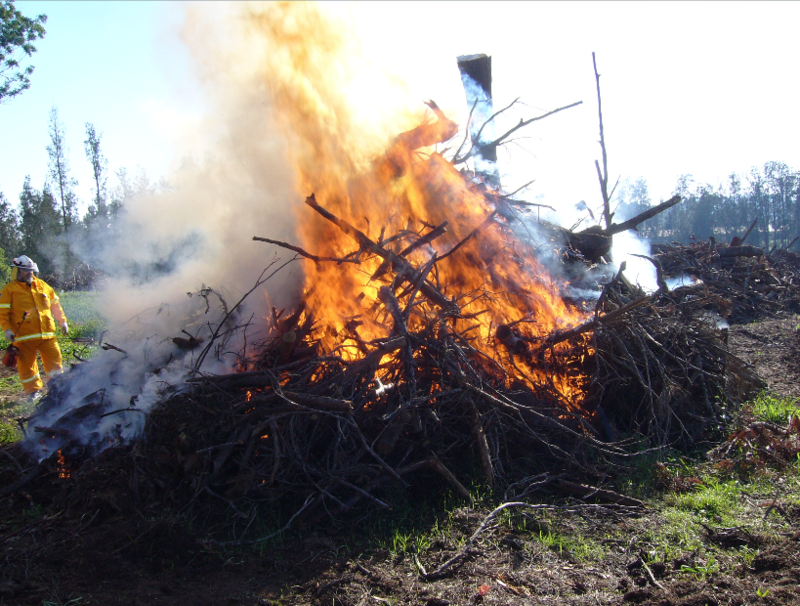 Dispose of dry grass, leaves, twigs and loose bark from around your home. Keep gutters and roof areas clear of leaf litter. Keep woodpiles away from your home. Cut back overhanging tree branches close to your home. Store flammable liquids away from your home. This entry was posted in Incidents on November 21, 2017 by gary@snark.online. Black Saturday February 7th 2009, saw much of Victoria engulfed in the worst bushfires in the State’s history. With temperatures over 46C and 90 km/h winds, the devastation created included the loss of 173 lives, over 500 people were seriously injured, 2029 homes lost and thousands of lives changed forever. This video was produced for the Kinglake Ranges Neighbourhood House with funding from the Victorian Bushfire Appeal Fund (VBAF). Production Fine Focus Video and Photography. Please click on the title to see the video. This entry was posted in Incidents on October 18, 2017 by gary@snark.online. 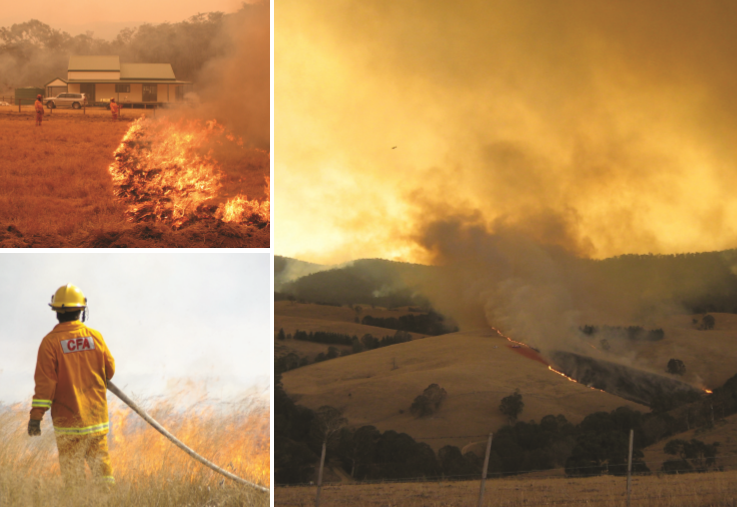 Even though snow is currently blowing through Gisborne, looking into spring and summer the Bushfire CRC has projected the likelihood of severe fires to be higher than normal. With most of Australia experiencing a combination of above average temperatures and below average rainfall over winter, large parts of the country face above normal bushfire potential for the fire season. 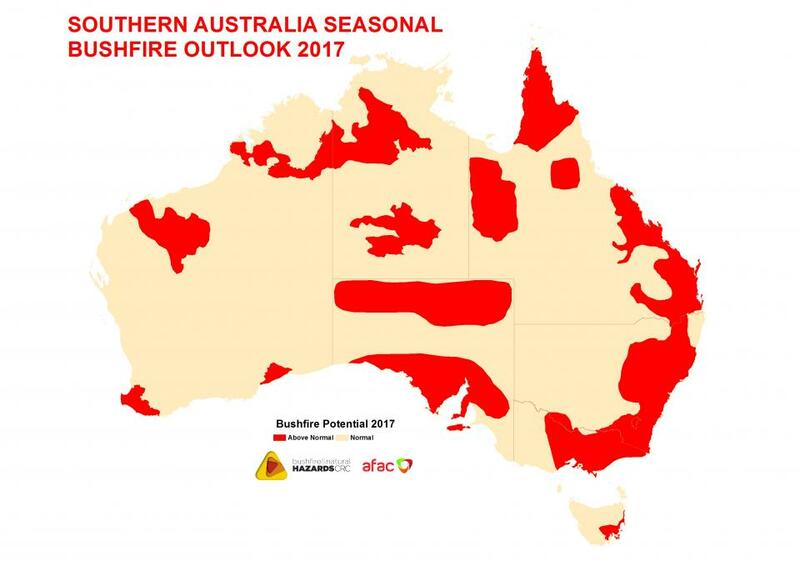 The Southern Australia Seasonal Bushfire Outlook 2017 shows the most at risk areas. The warmer and drier than average weather over recent months, combined with the forecasts for spring, suggest that the southern fire season is likely to commence earlier than usual and be more active than normal. What are you doing to prepare yourself and reduce the fire risk of your property? This entry was posted in Incidents on September 5, 2017 by gary@snark.online. New road rules announced by the State Government this week will reduce the risks to CFA members when responding to emergencies and help them fulfil their important roles more effectively. From 1 July, drivers must slow to 40km/h when passing a stationary or slow-moving emergency vehicle responding to an incident with flashing lights or a siren sounding. CFA Chief Officer Steve Warrington welcomed the new rules, which would apply to all CFA vehicles with flashing lights or sirens. “CFA has been consulted and fully supports these changes to ensure greater safety for our members when responding to incidents and emergencies,” he said. 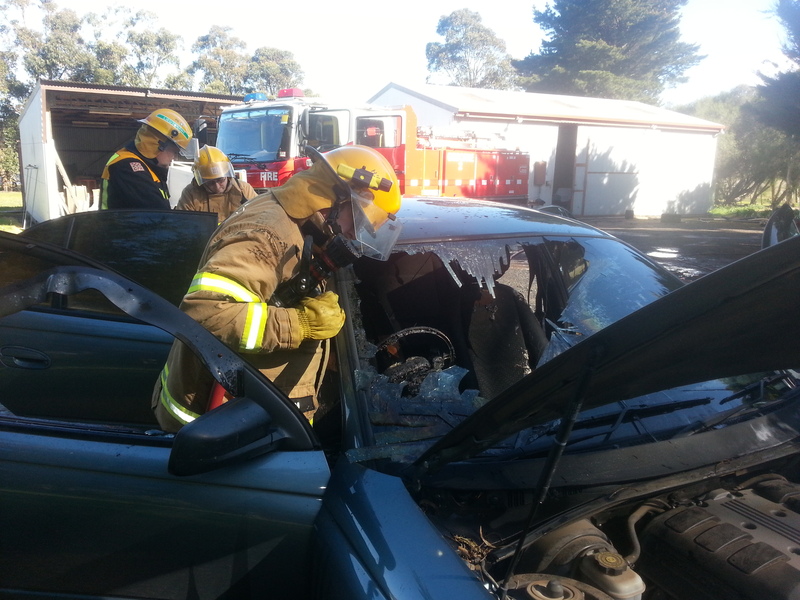 “There have been too many incidents where CFA members have experienced close calls or even worse – have been struck by passing vehicles – while responding to an emergency. 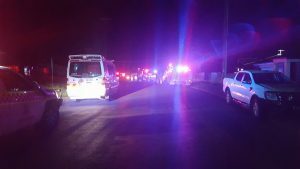 “CFA vehicles use red and blue flashing lights and sirens when responding to an emergency and while attending an operational incident. “It’s important that when road users see these lights or hear the siren, they slow to 40km/h and pass with care. 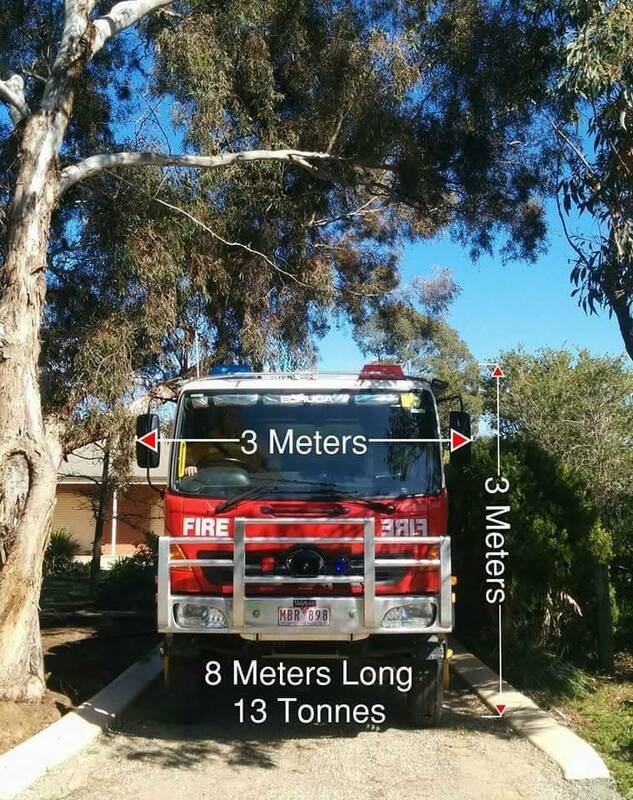 “Where there were two or more trucks attending an incident, the area between the two vehicles, at each end of the scene will effectively become a 40km/h speed zone. The new rule also applies to other emergency services organisations including Victoria Police, Ambulance Victoria, MFB, VICSES and VicRoads Transport Safety Service vehicles with magenta flashing lights. The fine for an infringement of the new road by Victoria Police is $277, with a maximum court penalty of $793. This entry was posted in Incidents on June 20, 2017 by gary@snark.online. On May 19 the State Government announced a significant reform to the way fire services are delivered in Victoria. A key component of the reform will be the establishment of new organisation called Fire Rescue Victoria (FRV) to service metropolitan Melbourne and major regional centres. It is not yet known what will be defined as metropolitian and major regional, or how these areas will interact with the volunteer brigades that surround them. FRV will bring together MFB and CFA career firefighters from our 35 integrated stations to service areas currently being covered by integrated stations. Volunteers brigades that are currently part of an integrated brigade are expected to be moved out into their own facilities. No timelines or the mechanism of how this will occur have been announced. This means CFA career firefighters and some support staff will transition to FRV. CFA will provide comprehensive support to this group of staff. There will be no job losses or redundancies for career firefighters and staff. It is expected that any paid fire fighter support that the CFA requires, particularly fire ground leadership, will be seconded in from FRV. The government has also announced a $100 million package, on top of money to rebrand, to support CFA. Details on how this will be allocated are not yet known. The Andrews government has also committed to introducing new laws to give all firefighters equal access to compensation for cancers contracted in the line of duty. This means all firefighters will have greater certainty in being able to access compensation benefits for specified cancers. Details of eligibility are expected to be announced when the legislation is produced to parliament. What does this mean for Gisborne CFA volunteers? We will continue to serve and protect our community just as we always have. We will continue to operate under the leadership of CFA’s Chief Officer. Volunteers will remain remain committed to stepping up in times of need. If you have any questions you can contact our dedicated information line for CFA staff and volunteers by calling 1300 339 558. If you are a member of the public with questions, we encourage you to contact your local member of state parliament for answers. Alternatively, questions or comments can be submitted via email to fireservicesreform@cfa.vic.gov.au. You can visit the Fire Services Victoria website for more information including FAQ’s or submit comments on the website. These services are confidential, free of charge and available to all CFA members and their immediate families. This entry was posted in Incidents on May 23, 2017 by gary@snark.online. Each year the Gisborne Fire Brigade has the honour and opportunity to march alongside veteran Diggers for the ANZAC service held at the War Memorial in Howey Reserve, Gisborne. 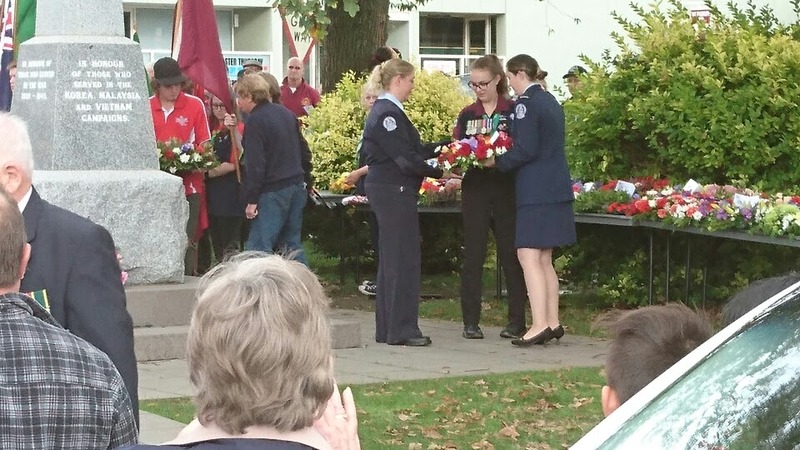 A wreath was placed on behalf of the brigade by Fire-fighter Barrotta and 4th Lieutenant Radnedge, and was accepted by Gisborne Scouts on behalf of all who have served. “As a brigade we are very privileged to have an invitation extended to us each year to march alongside our nations war heroes. This year was no exception with an impressive attendance by the local community to pay their respects to our past and present soldiers,” said Captain Sam Strang. Gisborne brigade also supported the dawn service on Mount Macedon at the commemorative cross. Brigade members helped at the event in the morning, with a 4am start needed to help manage the large number of people who attend this iconic event. This entry was posted in Incidents on April 25, 2017 by gary@snark.online. The CFA has advised that the Fire Danger Period for Macedon Ranges Shire will end at 1.00am on Tuesday 18 April, 2017. You may also wish to read the CFA’s Can I or Can’t I? brochure. This entry was posted in Incidents on April 18, 2017 by gary@snark.online. 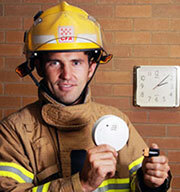 With the end of daylight savings fast approaching, it’s important to talk about our household smoke alarms. On average, there are 3,000 house fires in Victoria each year, many of which could end in tragedy without working smoke alarms. CFA is partnering once again with Bunnings to raise awareness of smoke alarms and home fire safety. All Victorian Bunnings stores will have a smoke alarm and home fire safety display in store from Monday 27 March to Sunday 2 April. This year, daylight savings will end on Sunday 2nd April, and the fire fighters at the Gisborne CFA want to make sure that all of our locals have working smoke alarms. The message to remember is “Change your clocks; Change your smoke alarm batteries”. 9V smoke alarm batteries cost approximately $6.00 each, which isn’t a lot of money for something that could save your life. We encourage locals to help their elderly family, friends and neighbours to test their smoke alarms each month. Remember… only working smoke alarms save lives! 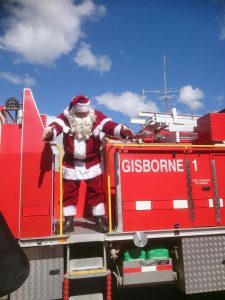 Follow the Gisborne CFA Brigade on Facebook for more information, or contact the station on 5428 2596 if you have any questions. This entry was posted in Incidents on March 25, 2017 by gary@snark.online. Grassfires can start anywhere and spread quickly. Reduce your risk when it’s safe to do so. Slash, mow, graze and spray grass near your home and assets, and create fuel breaks. Take care when using chainsaws, lawnmowers, tractors, welders and other machinery on warm days – they can all start fires accidentally. If you’re caught in a grassfire move to somewhere with minimal vegetation, such as a ploughed or well-grazed paddock. If you’re caught in a car, don’t get out and run. Tightly close windows and doors, cover up with woollen blankets, get down below window level, shut all vents, and turn the engine off. Check your Fire Danger Rating daily and check your Total Fire Ban status on warm days. Grassfires can travel up to 25 km per hour and pulse even faster over short distances. Grass is a fine fuel and burns faster than bush or forests. Grassfires tend to be less intense and produce fewer embers than bushfires, but still generate enormous amounts of radiant heat. The taller and drier the grass, the more intensely it will burn. The shorter the grass, the lower the flame height and the easier the fire will be to control. Short grass (under 10cm) is a much lower risk. Grassfires can start earlier in the day than bushfires, because grass dries out more quickly when temperatures are high. Living in a grassland area with dried-out brown or golden-coloured grass that is over 10cm high is a fire risk. There are some exceptions, such as Phalaris grass, which will burn even when green. This entry was posted in Community Safety on February 9, 2017 by gary@snark.online.